As a child growing up in a small town, Melanie had always craved for dance and circus arts. With a constant desire to move her body, she used dance and play to express herself throughout the years. She later moved to Vancouver where she fell in love with Yoga, leading her to her true love, Acro. While practicing Acro she experienced the power it can have; how it can break down walls, foster expression and create communities. Guided by good friends and inspired by great teachers, Melanie would later become a moving force in the Acro world. Eventually, her passion turned into a profession as she traveled internationally. 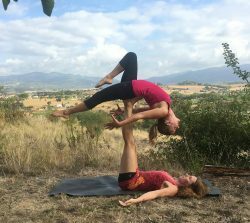 Learning, practicing and teaching Acroyoga became her essence of living. Ladybase believes Acro discovered the talent in her. Melanie is renowned for her engaging and creative training techniques. AcroContactYoga is a creative, encouraging and instructive platform with a comprehensive gamma of classes, workshops, performances and many other events. 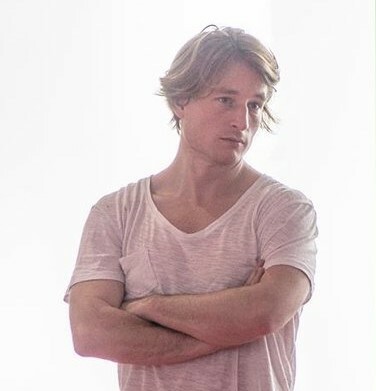 Inspired and certified by AcroYogaMontreal, AcroContactYoga teachers, Saar Wouters and Ruslan North, offer progressive and creative material for people with different backgrounds and levels. 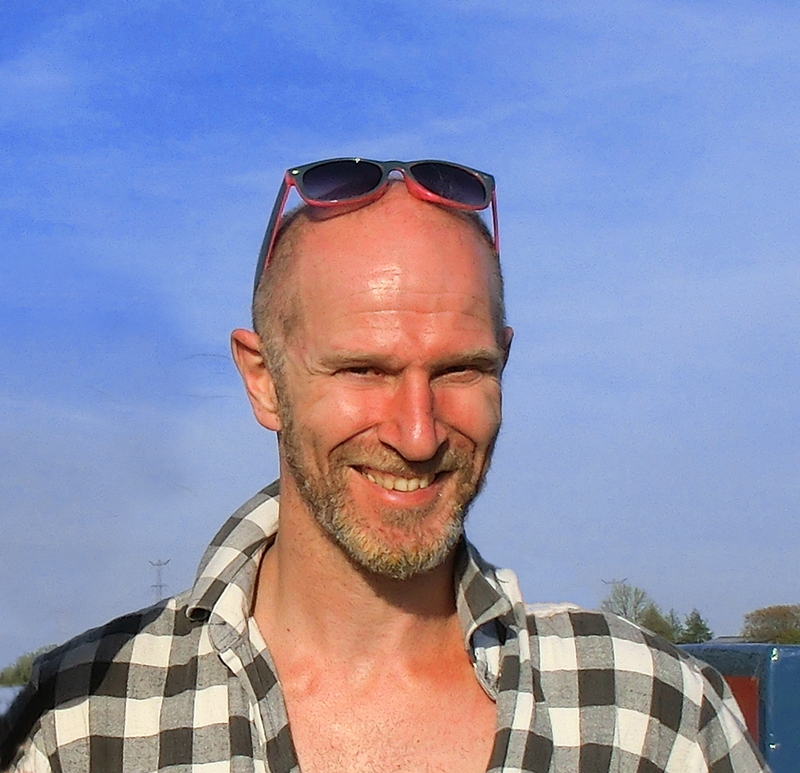 Saar Wouters is a born artist, dedicated yoga practitioner and instructor, experienced shiatsu masseuse and innovative AcroYoga teacher. Ruslan North is a technical thinker, experimental sportsman, creative mover, flow arts performer, aikidoka and innovative AcroYoga teacher. Lives in Münster (Germany) and works and plays in his Maitri Yoga Studio, where he offers AcroYoga Classes and Workshops. He loves how difficult moves become easier by make little steps and encourageeach others by words and hand-on spotting. You can read more about Andreas and his class and workshops here. Ever since April can remember she was involved in human movement. She began gymnastics at the age of 5 and continued training, competing, and coaching for 13 years. She has done everything from pole-vaulting in University, to Capoeira and Ultimate Frisbee. She completed a degree in Kinesiology at the University of Saskatchewan BSC in Sports and Exercise and did personal training for 4 years. April began to find her passion in the spirituality of yoga and completed her yoga teacher training in Mysore Style Ashtanga, as well as the AcroYoga Montreal teacher training. Feeling the need to fill the void that gymnastics left behind she found Acro, her new passion. She loves the how it brings the community together and loves to assist people on their Acrobatic journey, passing along the techniques she has acquired along the way. 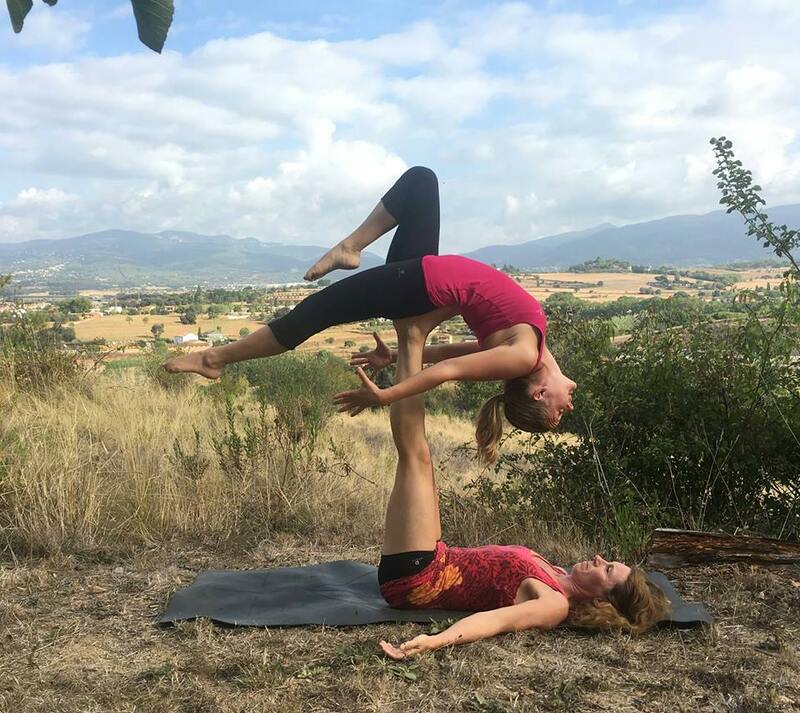 When Céline was introduced to acroyoga, she knew that she found the transition she had been looking for after about 20 years of practicing and teaching gymnastics. 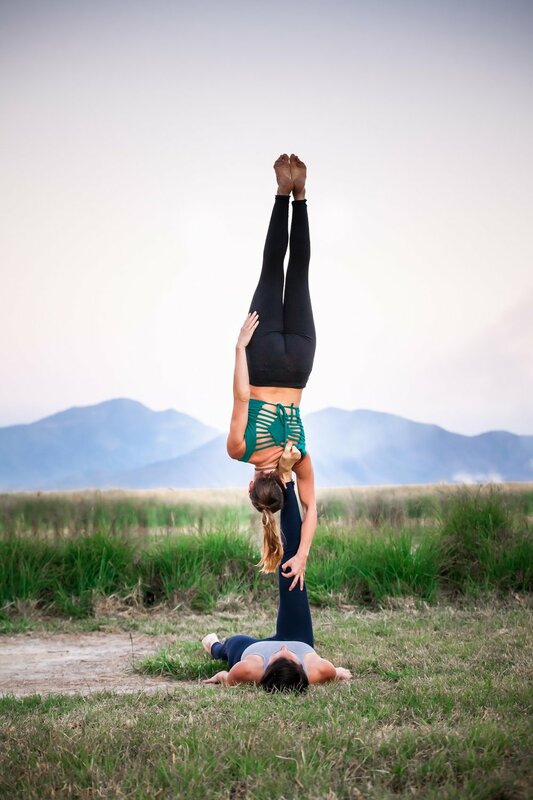 She is intrigued by the elements of teamwork and trust needed in one’s partner in both acroyoga and standing acrobatics, as opposed to the individuality she experienced in gymnastics. She finds her challenges in the wide world of dynamic acrobatics. Over the last several years she has been training and teaching acrobatics around Europe, as well as learning about thai massage. 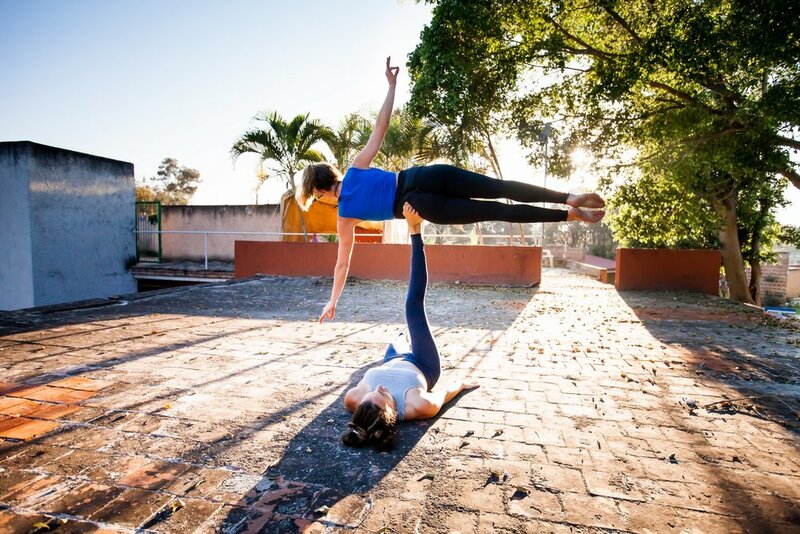 She is a certified teacher with partner acrobatics, and is part of the duo Acrowings. This duo has been spreading their knowledge and love of icarians, whips, and balance focused movements. While staying involved in these projects, Céline continues to explore other aspects of life that she is passionate about, including learning to live a more sustainable life that brings her closer to nature. My name is Ellen and I’m a real adventurer with loads of energy. I started gymnastics when I was three and taught kids their first head rolls and cartwheels when I was 16. I discovered the kick of wave surfing in Bali, rock climbing in Canada and wandered around the globe during my travels for a few years before I rediscovered the fun and beauty of flying. After immersing myself in the practice of acrobatics, I felt the urge to pass on the acro spirit. I taught kids and their parents for a while and now a bunch of motivated acrobats on a weekly basis. I discovered the fun and magic of acrobatics in late 2011 and have never stoppen playing. I am by now certified as a teacher by partner-acrobatics.com and Stichting Stapel and as a trainer by AcroYoga.org. I teach mostly in Rotterdam, mainly solar and standing acrobatics, but I also love the practice of Flying Therapeutics. 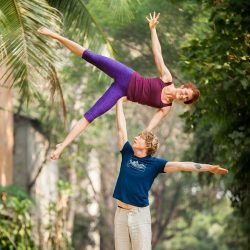 Glen and Jessalyn enjoy delighting audiences and finding creative ways to drop jaws by performing and teaching partner acrobatics all around the world. 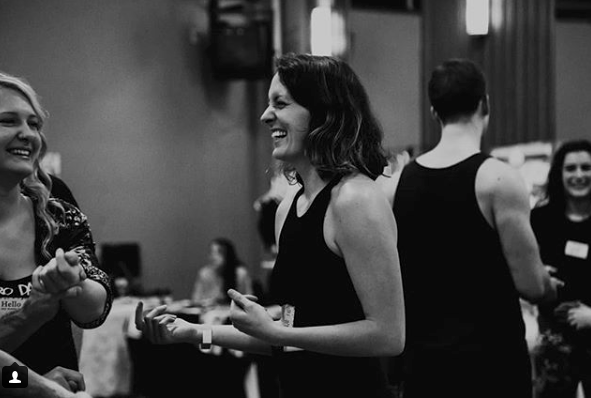 They met in early 2016 at Pitch Catch Circus School and made it a mission to continue training together. 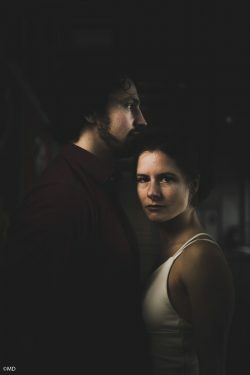 They have since traveled internationally teaching, training, and performing from the U.S to Canada, Israel, Thailand, Europe, and many places in between. 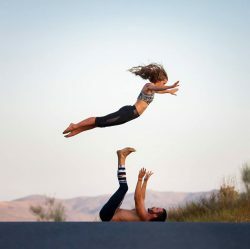 Glen and Jessalyn have a combined 14 years of acrobatics experience (including Acro Revolution Teacher Training), and they specialize in the partner acrobatic disciplines of hand to hand, Icarian, and AcroYoga. They are currently based in Los Angeles. 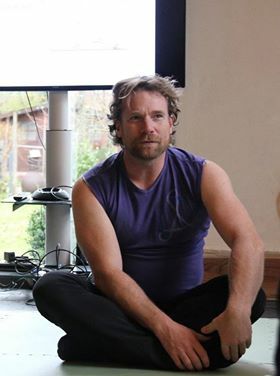 Previously athlete (6 years: javelin, decathlon) and swimmer (10 years), and in between Wing Chun and Goshin Jutsu practice, he discovered AcroYoga in 2015 taken by a friend. It was his first contact with the “AcroWorld” where he met his main teacher Tatjana. 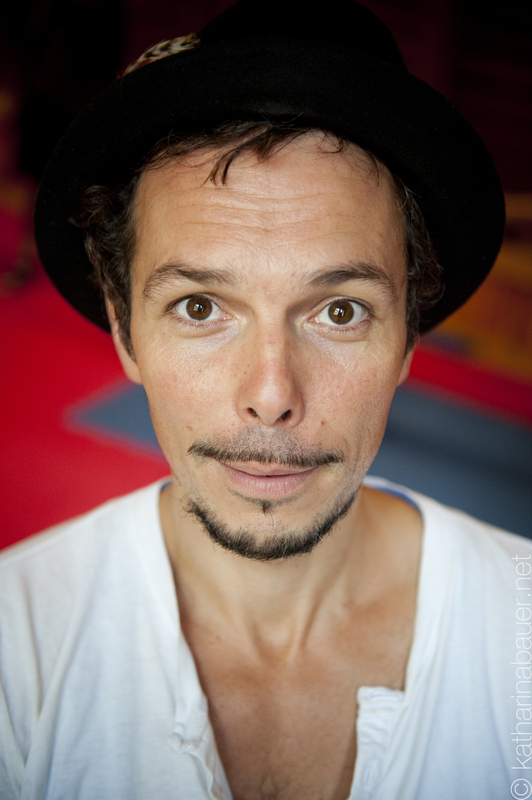 Month after month he explored a new way of thinking, of communicating with people and his own body while discovering the growing community in Brussels and the different disciplines which gravitate around AcroYoga. He’s now teaching regular classes in Brussels at Emergence XL. Gregory founded the summer festival together with his friends Tatjana and Marie. 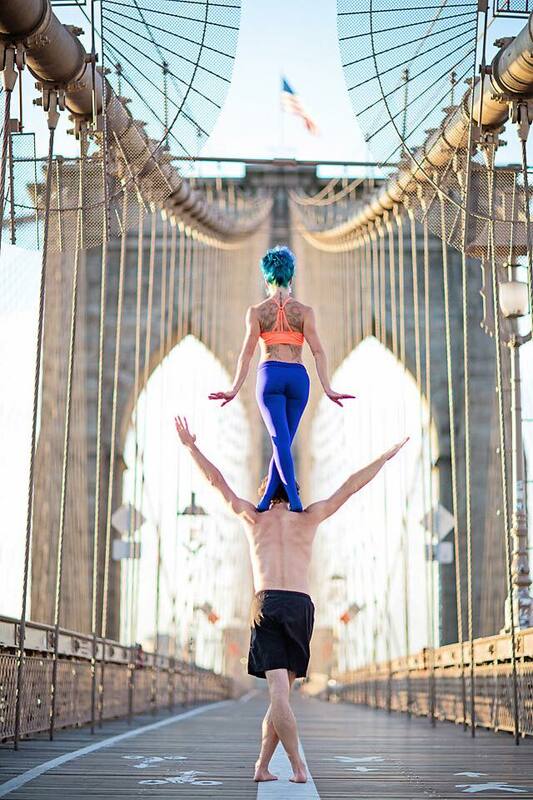 Jørn Christensen was introduced to acroyoga at Move Copenhagen 2013 and it has since then taken over his life. August 2017 he quit his job as a Software Architect to be able to devote more of his time to acroyoga, acrobatics, and contact improvisation. He now recides in Aarhus where he searches for balance in acro as well as life. He is a certified teacher from Partner Acrobatics (August 2017) and Acroyoga Montreal (April 2018). After training as a Vinyasa Yoga teacher (Yoga Alliance), Marie was certified teacher of Acroyoga (school of Montreal) and Family AcroYoga (parent / child) in 2017. Former gymnast, she has been passionate about this practice for more than 5 years and always keeps the same enthusiasm to go out and meet others through it. Marie was the co-teacher and acro partner of Tatjana tFelt in Brussels for 3 years. She now lives in South of France. Started practicing yoga when she was 21. 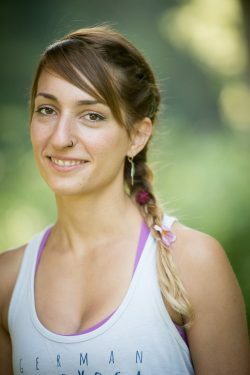 Certified Yoga teacher, AcroYoga Level 2 teacher and Thai Massage practitioner studied with Krishna Takis and Pau Castellsagué. Special education teacher with a specialization on Waldorf Pedagogy and yoga kids teacher certified with Micheline Flak, EURYE. 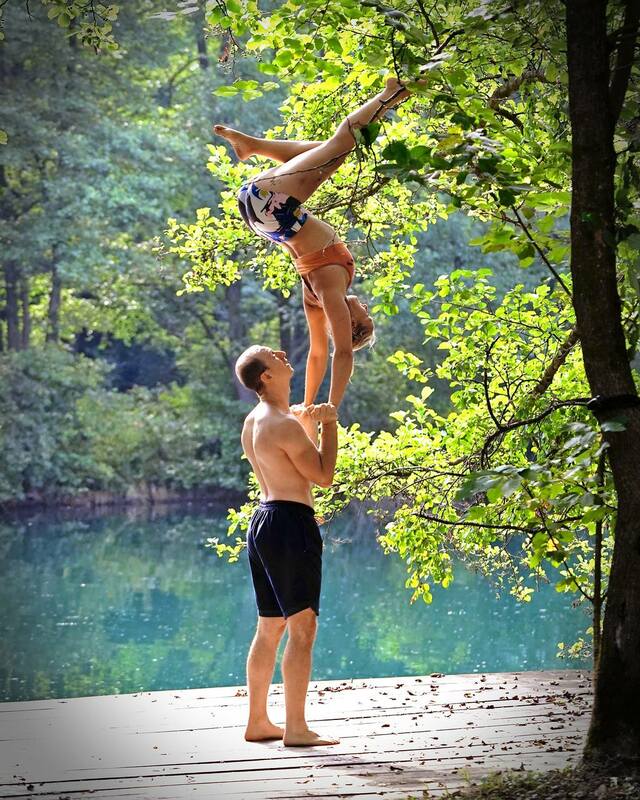 Driven by their enthousiasm to share acrobatics, Karel and Sytske are teaching and training as a dedicated couple. 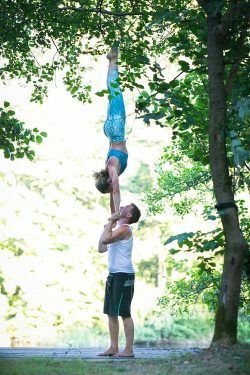 They are influenced by different streams like Dutch acrobatics and acroyoga. In their practice, they love to find fluid connections between static shapes. They focus on small details that make the practice as effortless as possible. They teach both locally and on international acrobatic events. In their teaching, they equally value technique, collaboration and fun. They are looking forward to meet and play with you soon! Tatjana has been teaching yoga, movements and dance for many years. She is a certified AcroYoga teacher. She lived 4 years in Brussels and was one of the core teachers in the growing Belgium Community. She is a part of the teacher team for the Family AcroYoga Teacher Training in Europe. She now lives in Copenhagen. 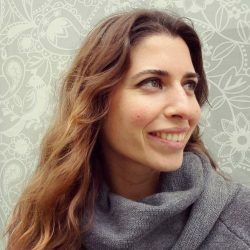 She teaches international workshops and she has regulars classes in Copenhagen. A travelling acroyogi, who has started her journey in Quebec, Canada, and has continued throughout the world, training and certifying in different fields. She slowly brought the art of healing, in her practice as it made sense that it was part of her. 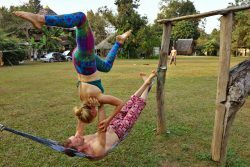 She took intensive trainings to certify in Yoga, Acroyoga, Thaï Yoga Massage and then she quickly discovered Wùo Taï, which has set her second passion going. Acroyoga and Wùo Taï are her two main occupations and since she has discovered them, she travels for and thanks to them. Those two practices which create balance between Yin and Yang in the body and mind, have helped her find a dance between movement and stillness. The teacher ticket is 190 euros, and each time you teach a workshop or a warm up, you get a reduction of 50 euros. If you like to teach at the festival this year, please register in January and sign up for a teacher ticket. and then we will get back to you.